Many of the people who lived near the Sanaga River have moved out of the area due to the severity of the biting by blackflies (Simulium spp.). Those that remain have a high incidence of onchocerciasis (river blindness) and agricultural productivity is adversely affected by the constant biting of the flies. 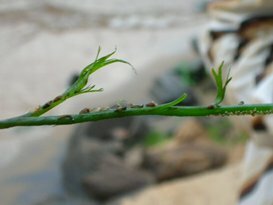 The larvae of blackflies need highly oxygenated water found where there are natural rapids where the river is flowing over rocks, creating ‘white water’. 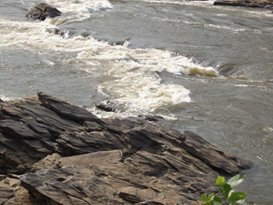 A major source is where there are rapids such as near the village of Kikot. The problem of blackflies is also very severe near the hydro-electric dams as the spillways provide man made areas of ‘white water’. YIF has been treating the river with a chemical to kill the larvae and this has significantly reduced the population of the flies. 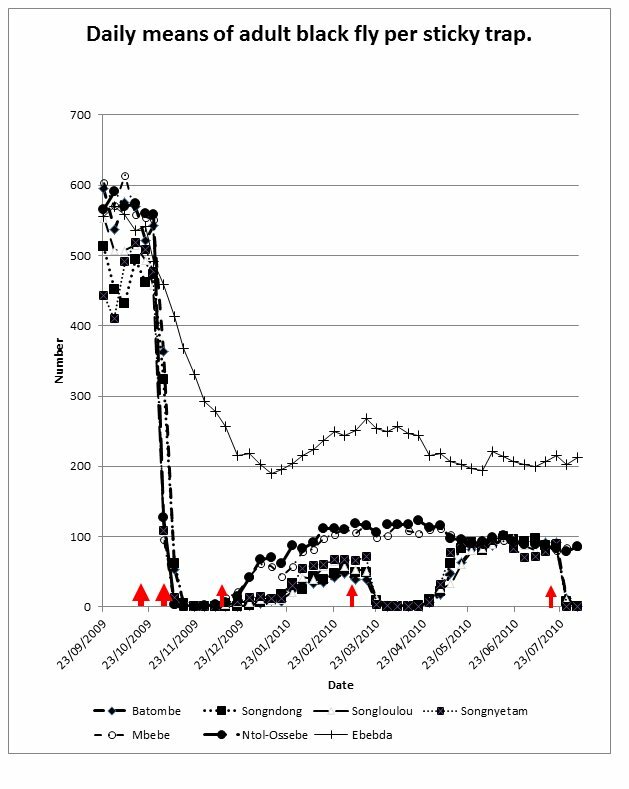 Instead of continuously treating the river upstream of these areas of ‘white water’ , the number of flies is monitored by placing plastic traps covered with glue on which flies land and become stuck, so that treatments are resumed only when the blackfly population has increased to a critical level. 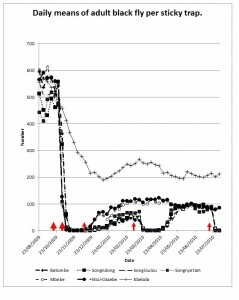 After treatment blackfly larvae from upstream and smaller streams entering the Sanaga river mean that the number of flies biting people always increases after a treatment, but it is hoped that by treating areas further upstream the frequency of treatments can be decreased. Research is a lso needed into alternative methods of control. This year (2011), YIF has targetd new areas to control blackfly in the Sanaga River and his main tributary, the Mbam River. New spraying points has been identified upstream Monatele and in the Mbam area. At the beginning of this month (September 2011), new pirogues (boats) has been made in these new spraying sites. 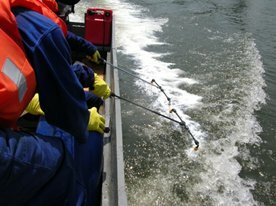 Many other activities has been carried out, notably susceptibility tests to larvicides temephos, permethrin and Bacillus thuringiensis israelensis, kick sampling to evaluate non target aquatic fauna, and all pre evaluation activities like evaluation of adult blackflies using sticky traps, evaluation of blackfly larvaes using artificial breeding sites and social perception surveys in the riverine populations of the intervention areas. 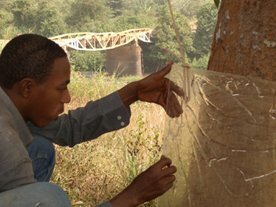 What is expected is that results from the actual treated areas should be used to explore more blackfly affected areas in Cameroon, while YIF is using techniques and science at hight level to improve health and living conditions of poor communities.